Our friendly, Germantown dentists enjoy meeting new patients and making each visit exceptional. 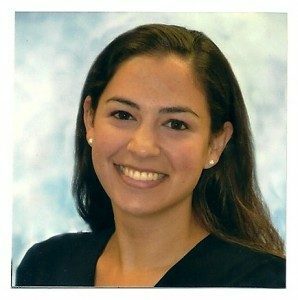 Dr. Morris continued her dentist education in the general practice residency program in the Division of Dentistry and Oral Surgery at the Johns Hopkins Hospital. During residency, Dr. Morris completed advanced training in dental implant placement and restoration, cosmetic crown and bridge, root canal therapy, periodontal treatment, and oral surgery. Dr. Morris is an active member of the American Dental Association and the Maryland State Dental Association, and continues to participate in multiple local dental study clubs. In her free time, Dr. Morris enjoys swimming, doing crossword puzzles, working out, spending time with her family and friends, and cheering on her beloved Jacksonville Jaguars (in addition to the Ravens and Orioles, of course). She is also always thrilled to discuss the latest episode of Dancing with the Stars or other water cooler television!